With increased destiny living on the rise, builders need products for smaller spaces. 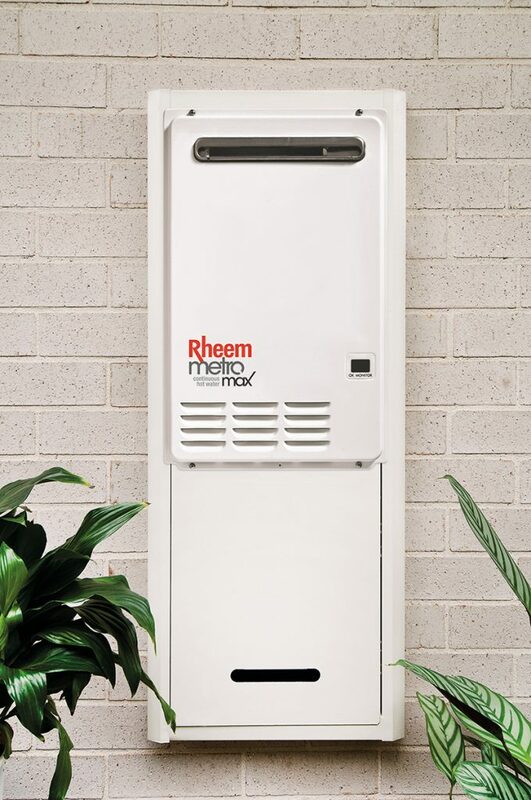 Rheem Australia’s new Metro 26-litre continuous flow hot water heater gives builders and developers a compact and energy efficient solution for clients looking for a functional product that saves energy, looks good and provides plenty of hot water. Continuous Flow gas water heaters deliver hot water that will never run out as they heat water when you need it, for as long as you need it. Continuous Flow water heaters work differently to storage water heaters, heating only on demand rather than heating and storing water until needed. Rheem Standard and Deluxe Electronic Temperature Controllers allow you to choose the exact temperature you need. 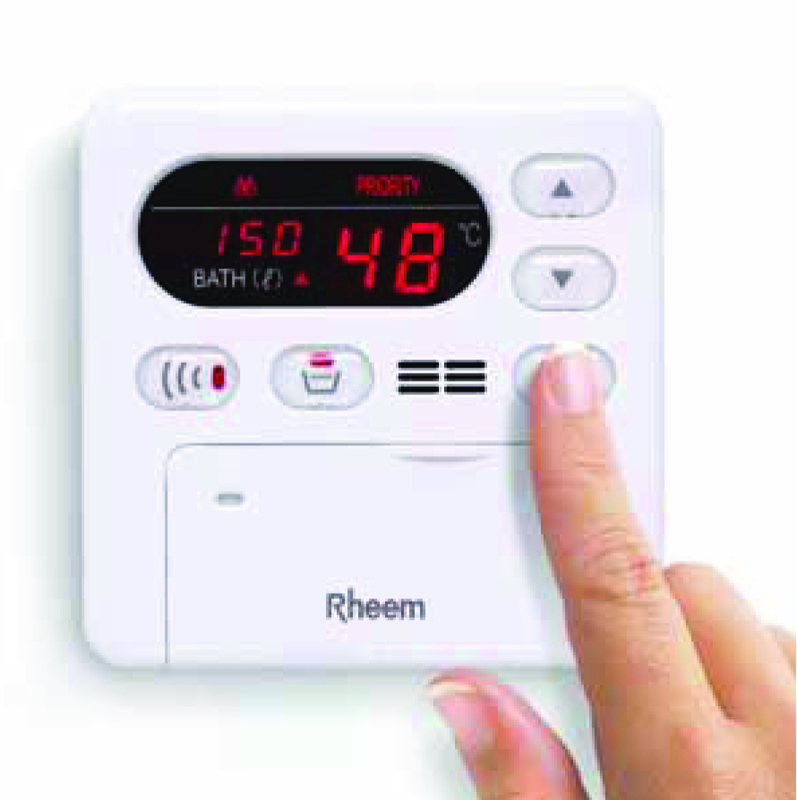 Bathroom Controllers can be set up to 50ºC for added safety. Deluxe Controllers offer a ‘bath fill’ mode, turning off the water once your pre-set volume is delivered.